The ball screen is one of the most popular and most effective actions in basketball. From Stockton to Malone to the Spread Ball Screen Offense, screening for the ball-handler has been a staple of every coach’s playbook. 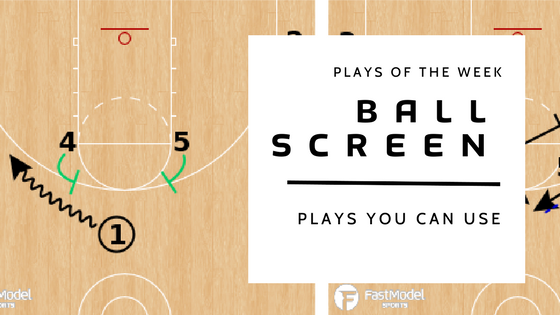 This week, our Plays YOU Can Use series features 10 ball screen sets and counters that every coach should have in their playbook. The first set is a good late shot clock call, which is dependent on the ability of the point guard to read the help defense. There is also a counter play, “1-Up Pop,” which has a back screen for a lob. If the defense switches on the back screen, it creates a high/low look, to get a post touch. The next series of ball screen sets have become very popular in the NBA. It has gotten to the point that teams are having to add “Stack Rules,” to their defensive ball screen coverage. The two sets that we will show are a high ball screen, into a back screen. The counter is a high ball screen, into a down screen. Both STS sets are very difficult to guard, due to the spacing of the set, with both corners filled by shooters. You can look for the back screen set in the 2017 NBA Playoffs, as the Houston Rockets have run it multiple times, with Eric Gordon setting the back screen. 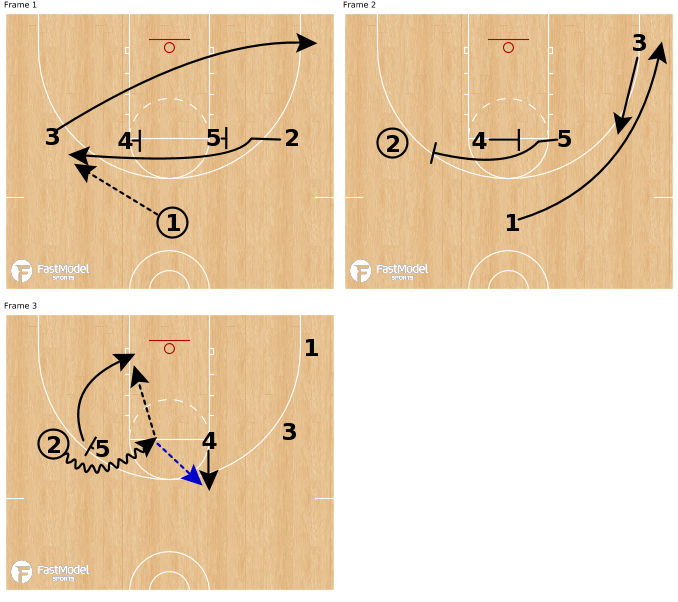 The final group of ball screen sets will be following an “Iverson Cut.” In these sets, the action is triggered by the Iverson Cut, and is followed by a screen-the-ballscreener action. 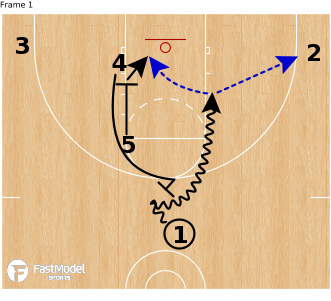 This makes it difficult for the defense to “Ice/Down” or “Blitz/Trap” the ball screen, which are the common defensive adjustments to attack a wing ball screen. 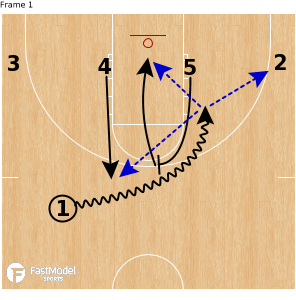 Throughout this entire post, my favorite set is the “Iverson STS Flare.” It is a terrific set, with multiple actions, and can be run on consecutive possessions. This is a great set to run at the beginning of a quarter. If you get a good look, then you can “milk the cow,” meaning you run it until you aren’t getting anything. 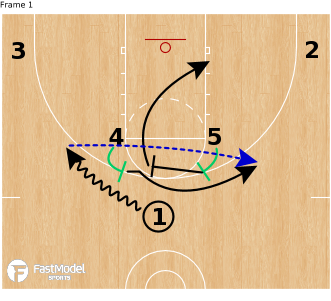 To wrap up the article, one common thought is that if a team has a dynamic guard, and runs great ball screen actions, you can just trap the ball screen. Here is a simple counter to that, which should allow your dynamic guard to get down hill. This is an action that was very successful for the OKC Thunder, who have arguably the most dynamic guard in the world. 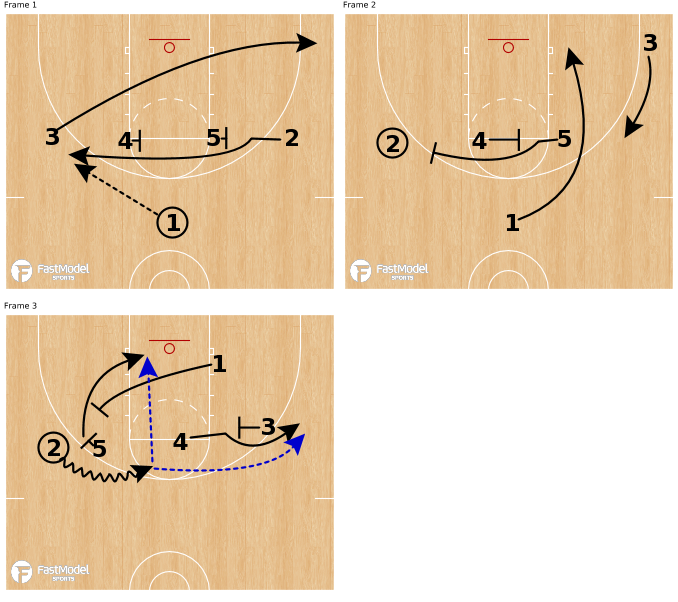 Hopefully this has provided you with a series that fits your personnel, and can help you generate an important basket late in your season. Let us know what you think about these ball screen sets or if there is a ball screen action that we missed. Contact us on twitter or in the comments below. Doug Brotherton is entering his 15th year of coaching basketball, and his 7th year at the helm of The Village School girls varsity basketball program. He has coached boys high school basketball, girls high school basketball, and started the Men's Basketball program at Mid-Michigan Community College. Coach Brotherton is also very involved at all levels of basketball. He is a NBA Regional Advanced Scout for the Chicago Bulls. He is the founder of Dynamic Coaching Tools (www.dynamiccoachingtools.com). Coach Brotherton was elected as the Texas Association of Basketball Coaches Large Private School Board Member. This past year, Coach Brotherton helped develop the drill book and coaches packets for Jay Bilas Basketball Camps, as well as participating in its Coaching Development Program and presenting on the benefits of FastDraw. In 2018, Positive Coaches Alliance selected Coach Brotherton as one of the 50 Double-Goal Coach National Award Winners, for his positive impact on his athletes on the court and in life. Fantastic movements Iverson STS Chase and Iverson STS Flare. A friendly greeting from Spain. “Plays YOU can use; Iverson Sets” which will be sent out today.